Spring is almost here!! Colors! 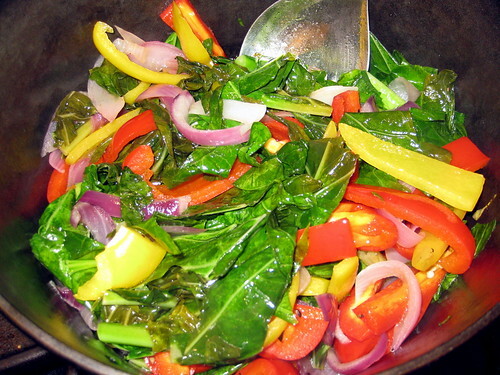 Collard greens, red onion, yellow and red peppers. Stir fried gently with a touch of salt and apple cider vinegar. Fresh and crunchy. Oh yeah, and colorful.